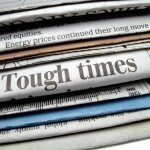 Leaders love tough economic times. Here is why. 1. Tough times keep you humble. You really get to assess your personal and professional portfolio HONESTLY in tough times. Egos must hit the curb. 2. Tough times force you to listen. When times are challenging as they are right now, you need to make the most out of every situation. You do that with active listening. 3. Tough times keep you focused. When you have to put food on the table for your family and for your team, you stay on the straight and narrow. 4. Tough times never suffer fools lightly. The cakes, the fakes, and the flakes go away. The lazy perish. Bad people do not hide well in these times. Bad organizations fade away. The good people and the good organizations stand out. 5. The Charles Ponzi types stand out in tough times. When money is tight, the schemers have nothing to scheme. 6. The arrogant and the greedy get theirs in tough times. These managers cannot hide their expensive cars, their beach houses, their office makeovers, their oriental rugs, and their shower curtains any longer when they let people go in the name of the company. 7. Good habits are created in tough times. The old adage, waste not want not holds true. Leaders watch assets, conserve resources, read and research more, and pay attention to the little things. 8. Tough times draw teams together. Meetings have substance. Employees stay a little longer to get things done..
9. Tough times create opportunity. The good people who have lost their careers or have had their salaries freeze, will find their greater passion and make things happen. 10. Tough times increase FAITH. The relationships you have are stronger and more cemented in collaboration. 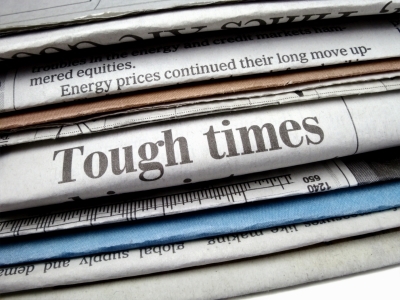 Tough times make good leaders great and organizations more enduring and energetic.